Last year, we released research on the over 41,000 16–24-year-olds not working and not in school in San Diego County. One year later, Measure of America and the Workforce Partnership have released new data on opportunity youth in the county. Explore the latest measures and demographics of disconnection that are anchoring our region’s movement to reduce youth disconnection. Thinking about your career options and don’t know where to start? 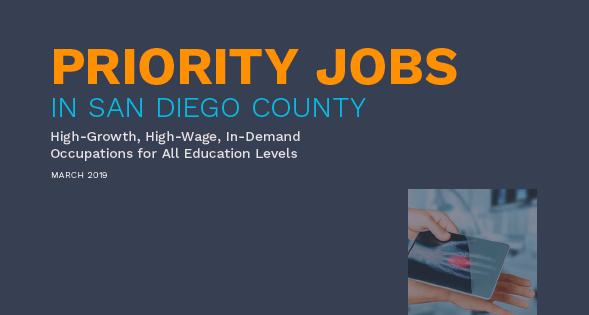 The Priority Jobs report uses employer survey responses and labor market information to look at occupations that are expected to have high growth and job openings in San Diego County over the next five years. In addition, every job on this list pays at least a self-sustaining wage at the entry level ($15.99/hr). Whether you are a student or more seasoned job seeker, use this tool to explore local professions with potential. Included are highlights from the 284 businesses surveyed. 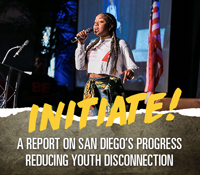 Last year, we released groundbreaking research on the over 43,000 16–24-year-olds not working and not in school in San Diego County and set bold goals for reducing the rate of youth disconnection across San Diego’s neighborhoods. One year later, Measure of America and SDWP have released new data on opportunity youth in San Diego County. Explore the latest measures and demographics of disconnection that are anchoring our region’s movement to reduce youth disconnection. 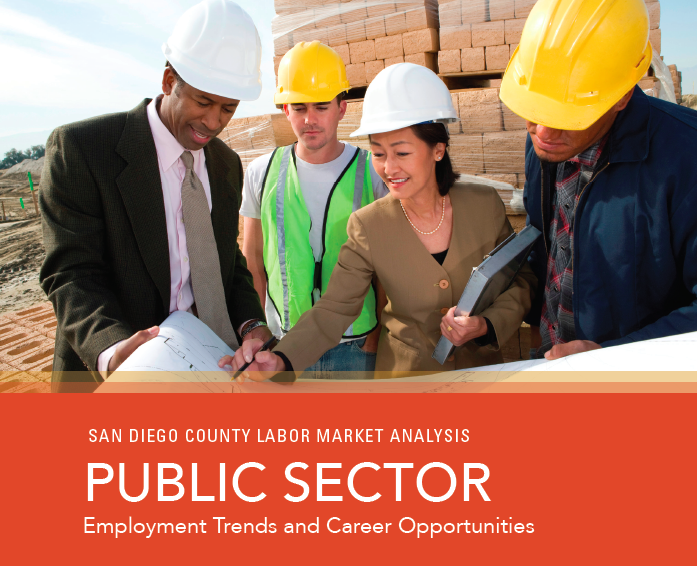 In 2014, the San Diego Workforce Partnership (SDWP) released a series of Priority Sector reports in collaboration with the San Diego and Imperial Counties Community Colleges Association (SDICCCA). The five Priority Sectors include Advanced Manufacturing, Clean Energy, Health Care, Information Communication Technologies (ICT), and Life Sciences. 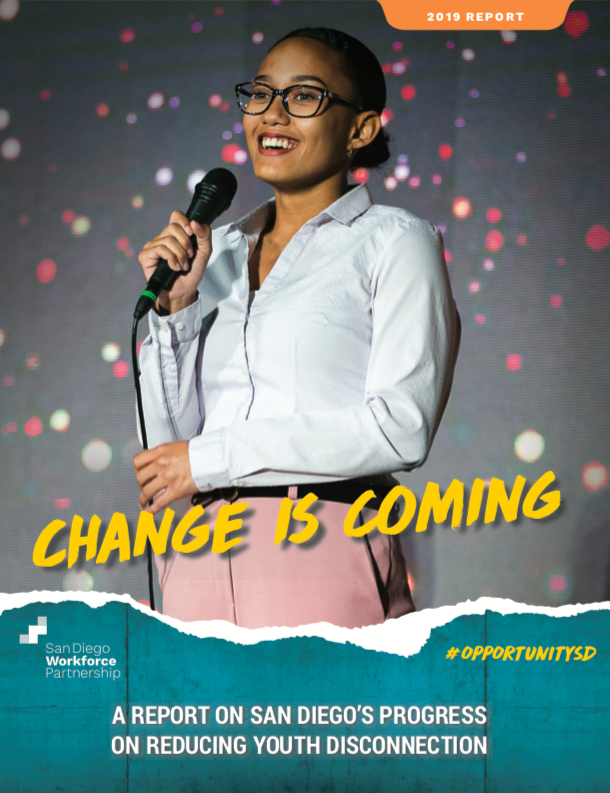 SDWP identified and prioritized these sectors for workforce development because of their significant employment growth rates, strong wages and number of job openings. This year, SDWP is releasing an update for each of the Priority Sectors in a single report that provides new information and an overview of the changes each sector has experienced since the previous reports were published. This updated research will help guide the public workforce development system in supporting, developing and evaluating employment and training programs for the Priority Sectors. 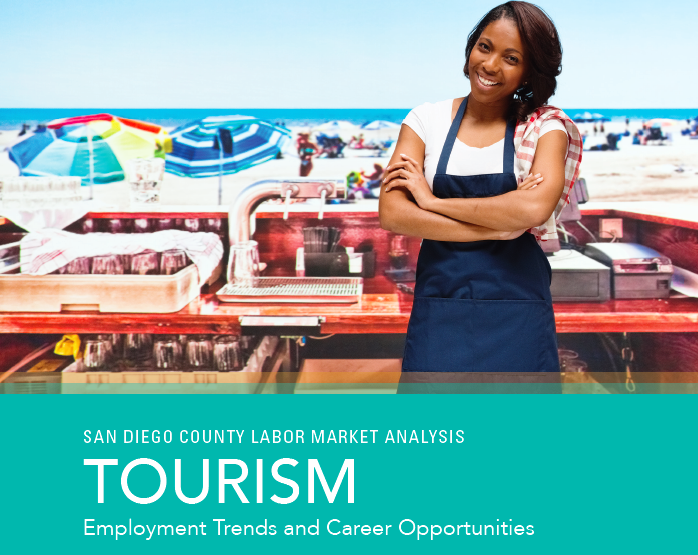 The tourism sector is a critical economic driver in San Diego County. It plays a valuable role in improving the region’s quality of life, bringing in external revenue and introducing young adults to the world of work. This study works to inform the workforce development system of the employment pathways and career advancement opportunities that come from employment in this sector. The full report analyzes data on job growth, training opportunities, hiring challenges and in-demand skills from firms in the tourism sector. The public sector is made up of publically controlled and funded entities, providing public goods and services to people living in San Diego County. This study focuses on 36 in-demand occupations in five key occupational clusters within the public sector: Administration, K–12 Educators, Maintenance and Landscaping, Public Utilities and Safety. It serves to inform the workforce development system—educational training institutions, the Workforce Development Board and community organizations—on how best to prepare the future workforce for these five occupational clusters. The nonprofit sector plays a critical, but often unseen role in supporting and promoting activities that improve the lives of county residents, filling gaps in critical social services when needed. This study aims to inform the workforce development system—educational training institutions, Workforce Development Boards and community workforce development organizations—on how to best prepare the future workforce for this sector. 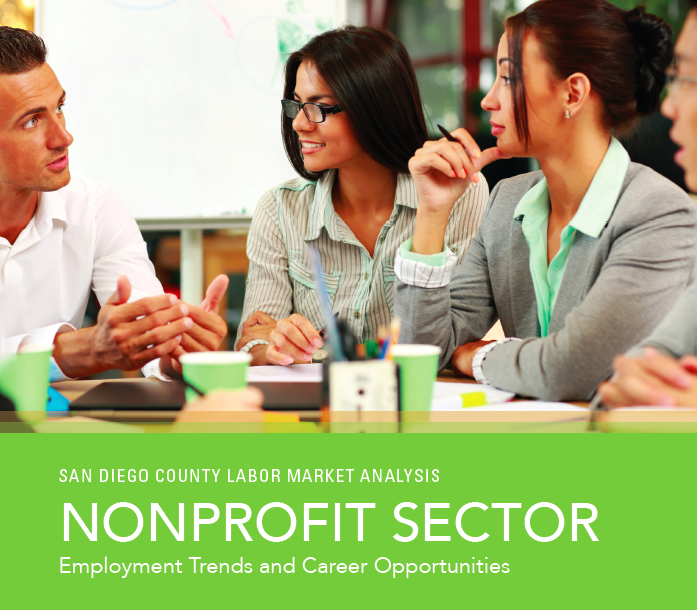 The full report analyzes data on job growth, training gaps, hiring challenges and in-demand skills from firms in the nonprofit sector. A companion piece to the Priority Sector posters, these printable two-pagers offer ideas on how to begin a career in each sector. Learn more at workforce.org/mycareer. 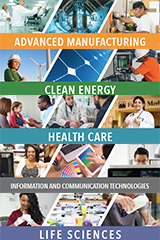 The Priority Sector posters highlight career pathways within San Diego’s five Priority Sectors: Advanced Manufacturing, Clean Energy, Health Care, Information and Communication Technologies, and Life Sciences. These posters can be printed at 12×18″ or 24×36″. There are approximately 43,000 opportunity youth in San Diego County. These are 16–24-year-olds who are neither in school nor employed. 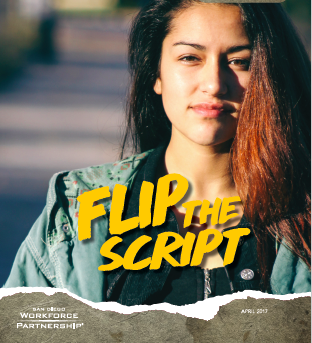 This study tells the story of San Diego’s opportunity youth and the organizations that serve them, and presents a vision for how we might flip the script for San Diego’s youth.